The Adidas Matchcourt skate shoes are based on the classic look from the 70's but with a modern twist and features. 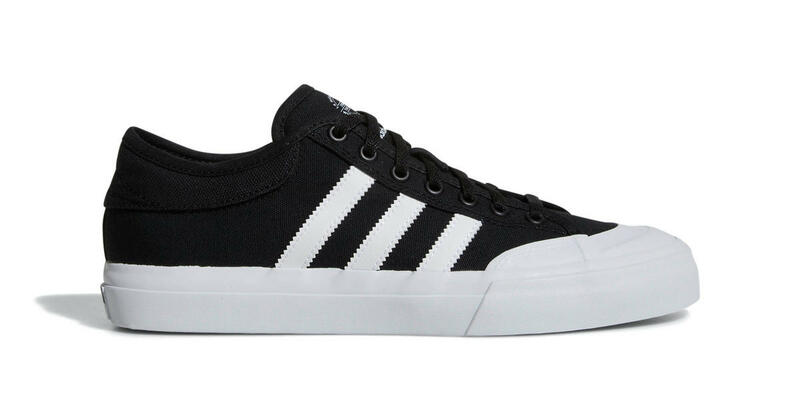 Skateboarders through out the world have embraced Adidas Basketball shoes with rubber toes since the 70's. The lightweight upper and cushy sockliner holds your feet in place securely and gives you a cosy fit. The durable rubber toe cap is a signature feature of the Matchcourt shoes and is built to take a beating. The Moulded PU sockliner gives you added comfort and impact cushioning. The double-wrap vulcanised construction will last for a long time. The vulcanised outsole is very grippy and gives you precise board feel.